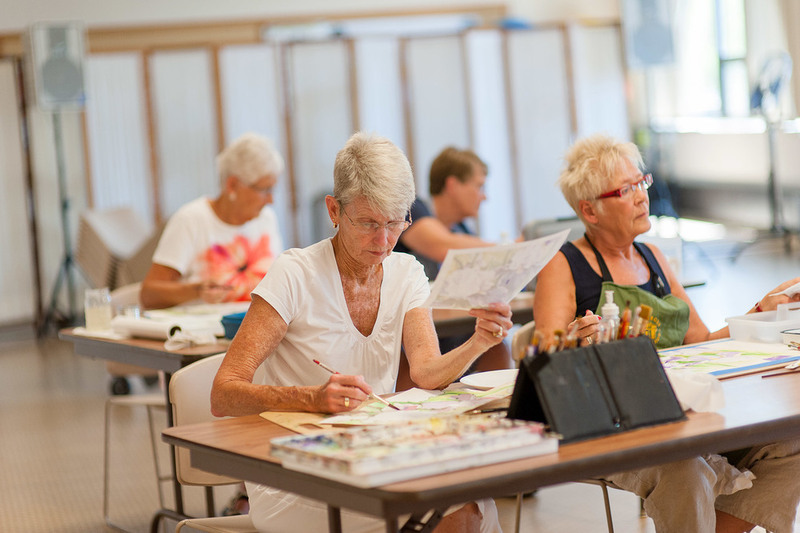 Evergreen Commons is a community center for active living for adults, age 50+. The Commons provides a place, platform and opportunities to participate in living life to the fullest. We encourage a purposeful, active lifestyle in all its dimensions: Social, Physical, Vocational, Environmental, Intellectual, Emotional and Spiritual. 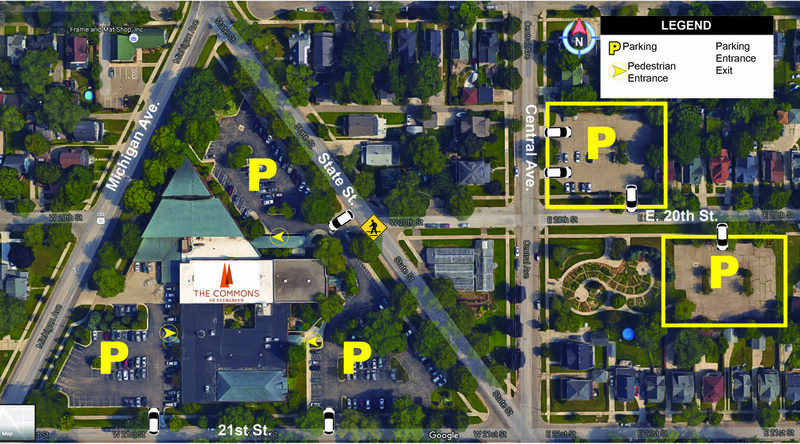 Additional parking available off of 20th & Central Ave. just one block from our Main Entrance A. Volunteers. 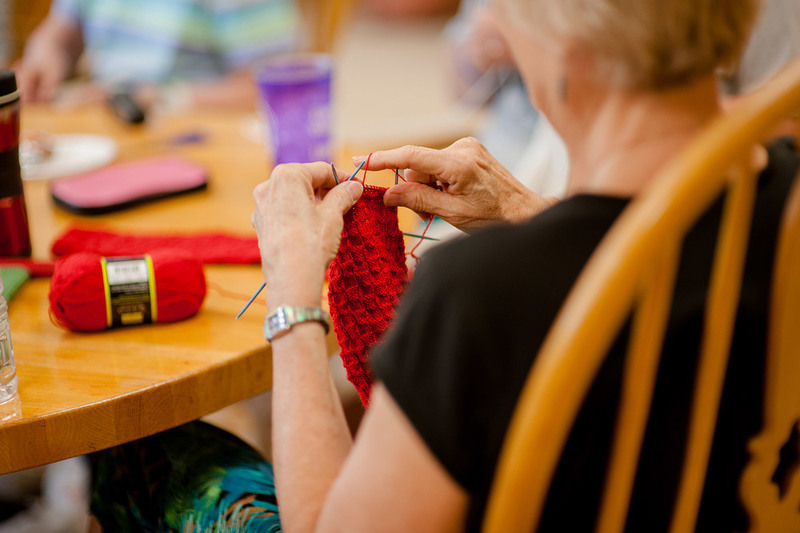 Evergreen was founded on the belief that volunteering is an important part of membership. Each year our volunteers provide close to 50,000 hours of service. This allows us to offer a wide range of opportunities at very reasonable prices while giving the member ownership in their Center. Visit or call (616-355-5120) our Member/Guest Services Desk to become a member, register for classes, or to sign up for events and trips. Hours are Monday-Thursday 8:00 am-6:00 pm and Friday 8:00 am-5:00 pm. Stop by for a tour or spend a day with us at Evergreen and we’re sure that you will soon be agreeing with our members that this is a great place to be! Para informacion en español sobre Evergreen Commons, sus programas y la membresia, favor de llamar a Becky Gezon al 616-355-5103.